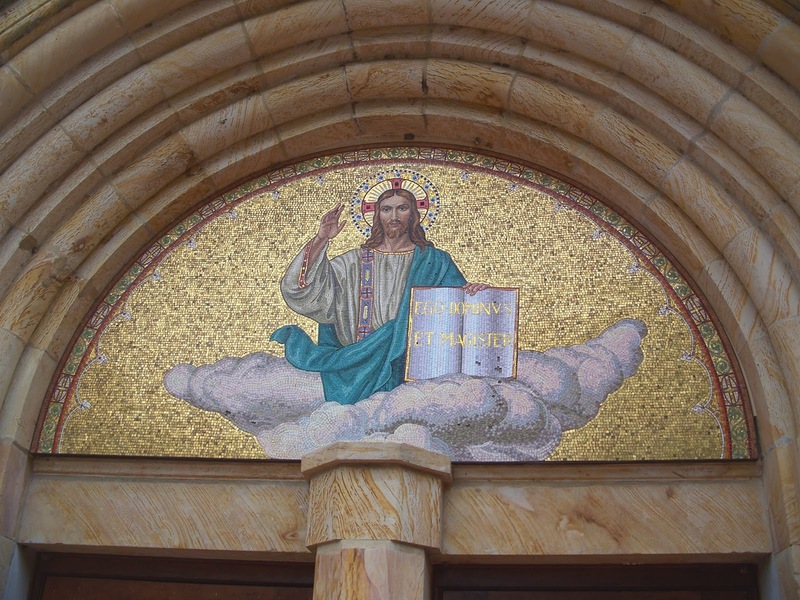 Above the abbey church doors is a mosaic of Jesus Christ. 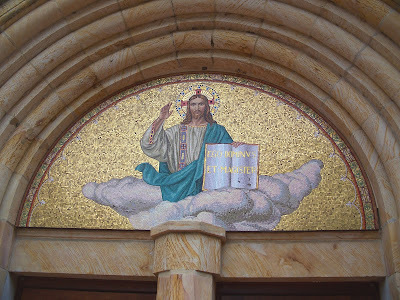 In Latin the words are EGO DOMINUS ET MAGISTER from John 13:13. "I am the Lord and Teacher (Master)." March 29, Holy Thursday, Mass is at 7:00 pm followed by Eucharistic Adoration. — There will be no Evening Prayer on Holy Thursday. March 30, Good Friday, Liturgy of the Passion is at 3:00 pm. — There will be no Adoration or Evening Prayer on Good Friday. March 31, Holy Saturday, Easter Vigil Mass is at 8:30 pm. — There will not be a 10:00 am Mass.